Lets Have A Sneak Peak How Ask Online Solutions Can Help! SEO and SMO are two basic processes that tend to have a visible impact on the traffic that a website gets and this is why the ones who are looking in for organic and natural results can look at these optimistically. SEO goes a long way in building in that brand repute, the only stopping factor here is that in the past few years the focus has been more over paid techniques. Lately, the businesses have realized the prime fact that in order to generate huge popularity and publicity, the website needs to come loaded with all those techniques and practices and this is where SMO comes out as a great option. With all these in place all those issues that have arrived due to a poor internet marketing approach such as keyword stuffing, poor user experience and purchased links will be dealt with in a correct way. Only experts know how to come out with SEO and SMO techniques that promise constant results and this is why relying on these acts worth for the business with huge expectations from internet marketing. Building website traffic is a crucial chore and this is why relying on an expert such as Ask Online Solutions would help. 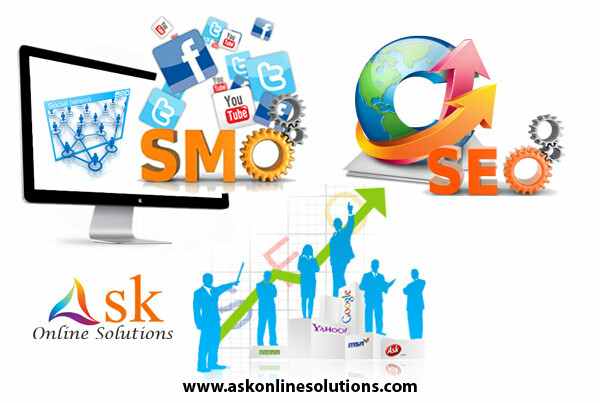 If looking forward to give your business a major traffic boost, going in for expert SEO and SMO services would turn out to be a smart move.